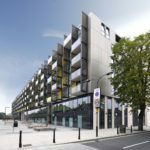 This development consisting of 2, 3 and 4 bedroom luxury dwellings is located directly above the brand new Dalston Junction Underground station in Central London. Interest from potential purchasers, due to the location and eye-catching design was already high. The project was always destined to progress at breakneck speed. 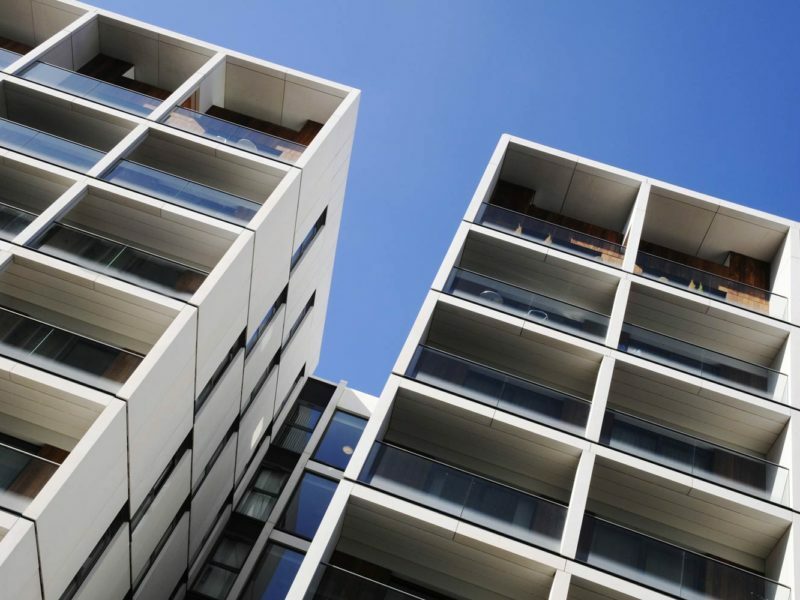 Therefore the guaranteed availability of vast quantities of GRC Cladding panels when needed, together with swift, trouble free-installation, was emphasized to GB Architectural (GBA) as being of paramount importance. 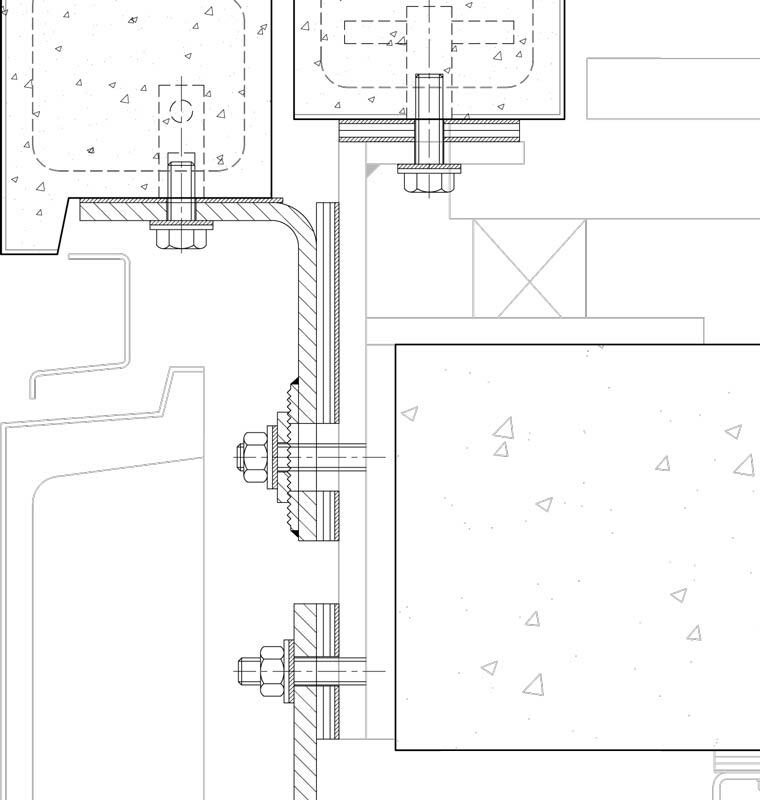 Pre-Design GBA, M Price and Barratt’s technical team first devoted their energies toward the finalization of a fixed-project cost and preparing large scale samples for planning approval. Alongside this, close liaison continued with the NHBC, as impact/weather testing, panel configuration and jointing details were progressed. 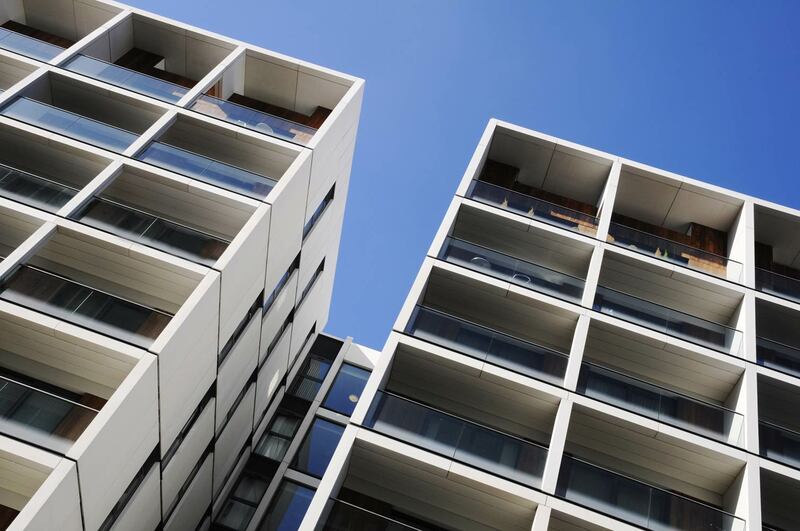 Further highly significant factors leading toward the ultimate selection of Grade 18 GRC Cladding are the inherent environmental and sustainability benefits. 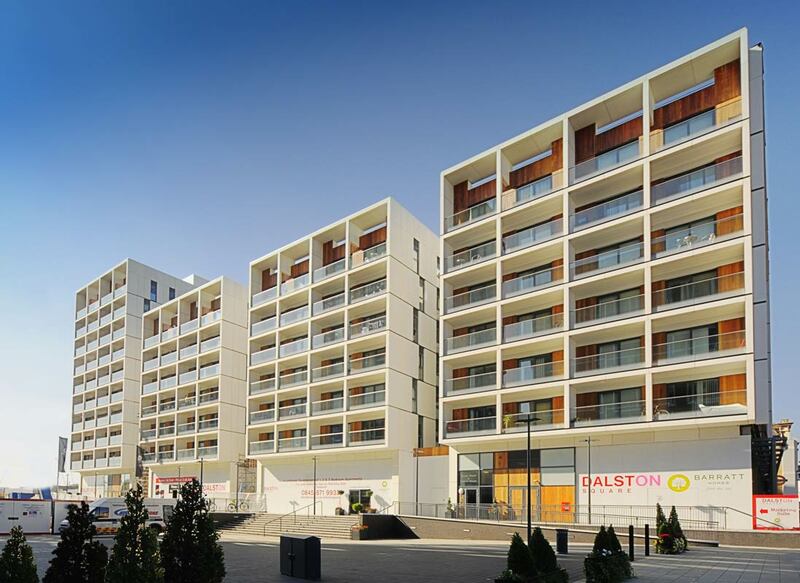 In particular the product’s BREEAM A+ Rating. 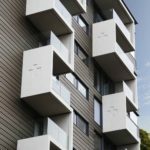 In December 2009 GBA’s Grade 18 Portland LSB GRC Cladding panels were formally approved for use and detailed design work began. Design For the detailed design, coordination and interfaces process, GBA, J McAslan, Smart Crosby International and M Price’s in-house design staff collaborated closely to create all of the panel designs, restraint designs, flashings, interface and sequencing details. All of this to ensure that the installation of this Open Rainscreen cladding solution would unfold smoothly and seamlessly. 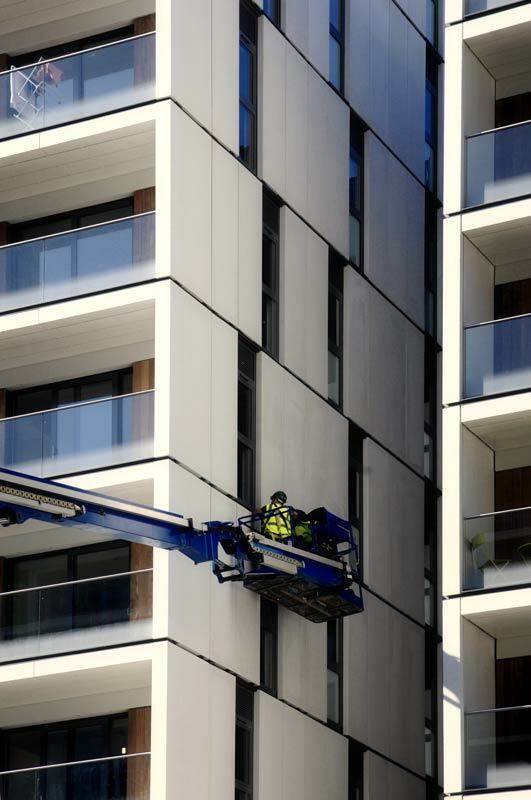 Mr John Crosby of Smart Crosby international said: “The main design challenge was to accommodate the stiffening of the GRC Elements and fixing systems within the slender cladding zone required by the architects. The GRC Cladding also had to interface with other cladding materials, flashings and supporting structure in order to provide a suitably drained open rain screen. 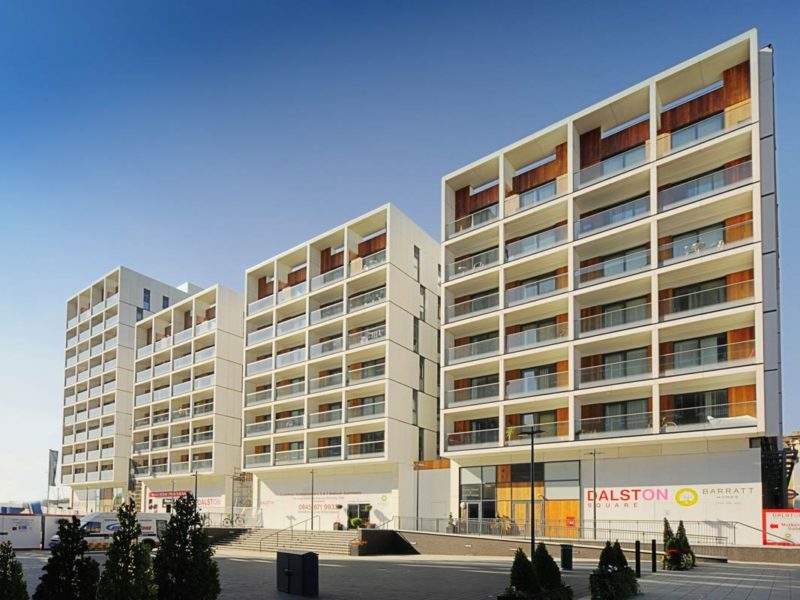 The design freedom and mouldability offered by GRC during manufacture was well suited to the complexity of such interfaces whilst enabling the finished cladding to provide the appearance of traditional pre-cast concrete”. 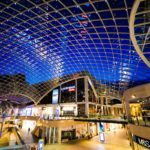 “M Price values its supply chain partner’s input in projects, and the close collaboration we experienced with the GBA team certainly assisted in delivering this project on time and to the satisfaction of all concerned.” ~ Colin Chapman, M Price & Co Ltd. 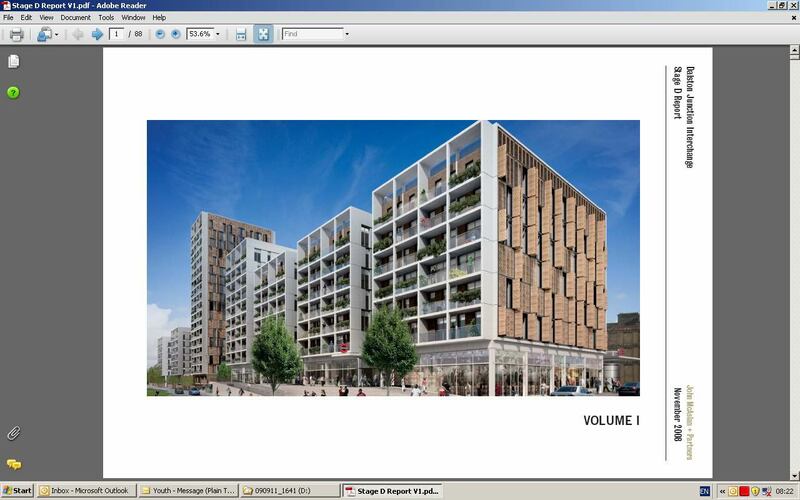 The designs for the North Blocks were finally signed off In June 2010 with the first panels then being placed into manufacture in August 2010. 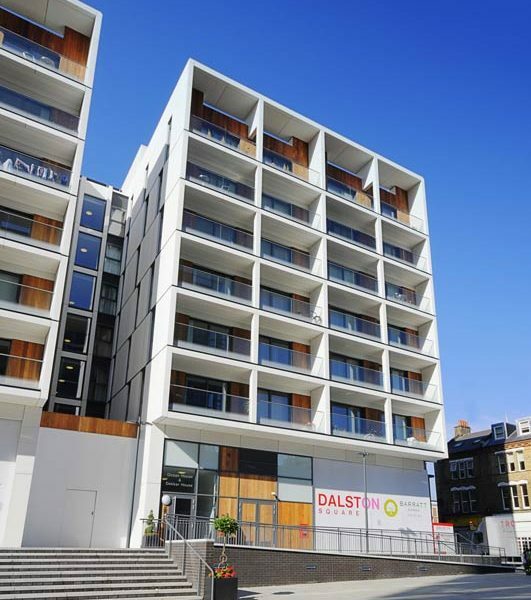 To ensure that adequate panel quantities and types were available in sequence and precisely when needed, GBA devoted several weeks advance production almost exclusively to Dalston Junction’s GRC requirements. Some 3000m2+ of Panels were produced, quality checked and packaged, then held within GBA’s secure storage compound ahead of the commencement of first deliveries. Due to site access and storage constraints, GBA agreed to effect daily ‘just in time’ deliveries; these taking place on either articulated or small (rigid body) vehicles dependent upon site logistics at the particular point in the project. Installation of the Grade 18 GRC Cladding began in late November of 2010. 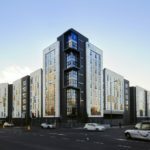 The entire North Blocks GRC cladding installation (completely unaffected by the memorable December 2010 big freeze) was completed within 5 months. 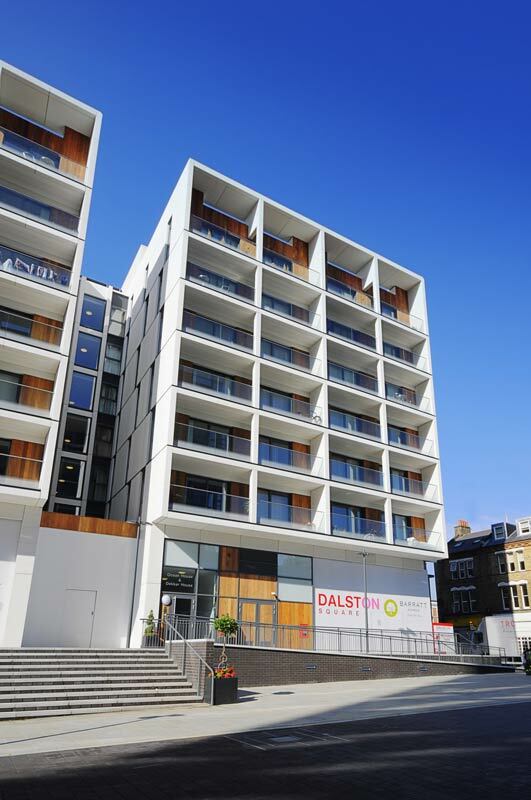 Following almost 12 months of constant collaboration and cooperation, the Dalston Junction North Blocks have undoubtedly proved a resounding success. The project was completed on time and for exactly the agreed fixed lump-sum budget cost. All of the GRC Panels are clean and crisp, requiring virtually no ongoing maintenance. As a result, the properties look stunning, sales are buoyant and the South blocks construction programme has been accelerated to meet demand. South blocks GRC Cladding installation is scheduled to begin in January 2012. Architect: J McAlsan & Partners. Main Contractor: M Price Ltd.
GRC Manufacturer: GB Architectural Cladding Products Ltd, Liversedge, West Yorkshire. Design Consultants: Smart Crosby International.